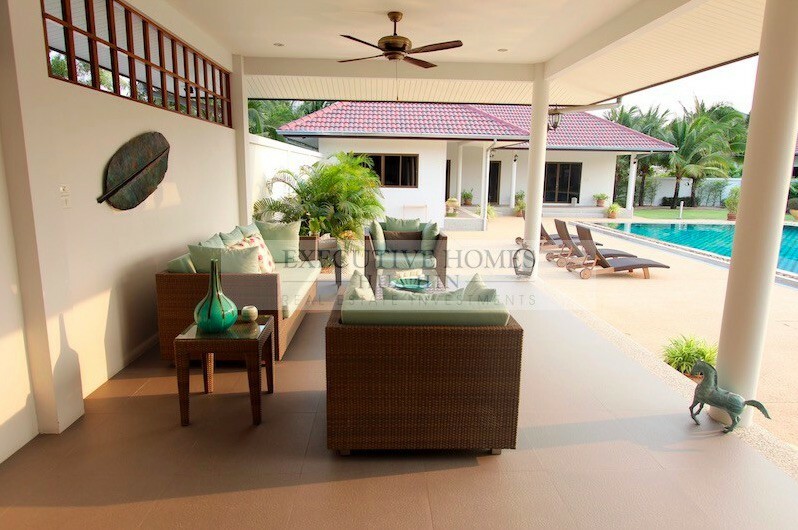 This lovely and modern property is perfect for the entrepreneur that wants to start a new guest house close to Hua Hin town center. 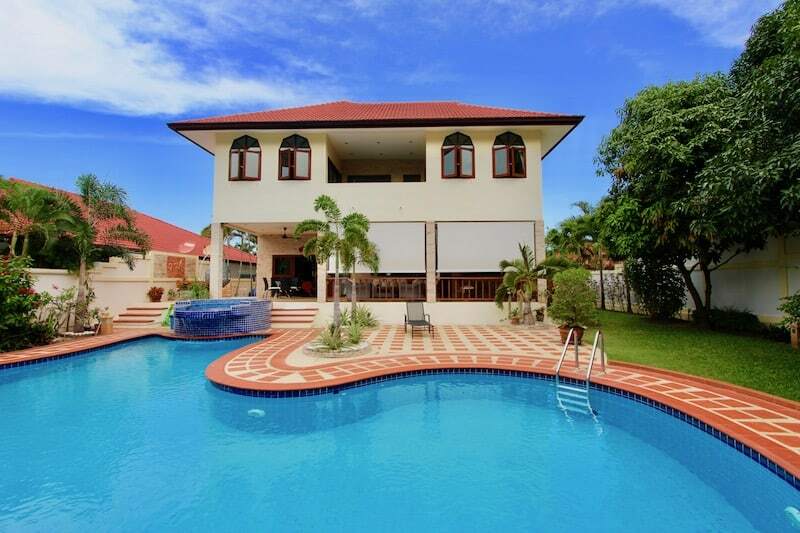 The property has all the amenities a luxury guest house would require; close to town, close to restaurants, not far from the beach (about 5 minutes by car), close to popular golf courses, etc. 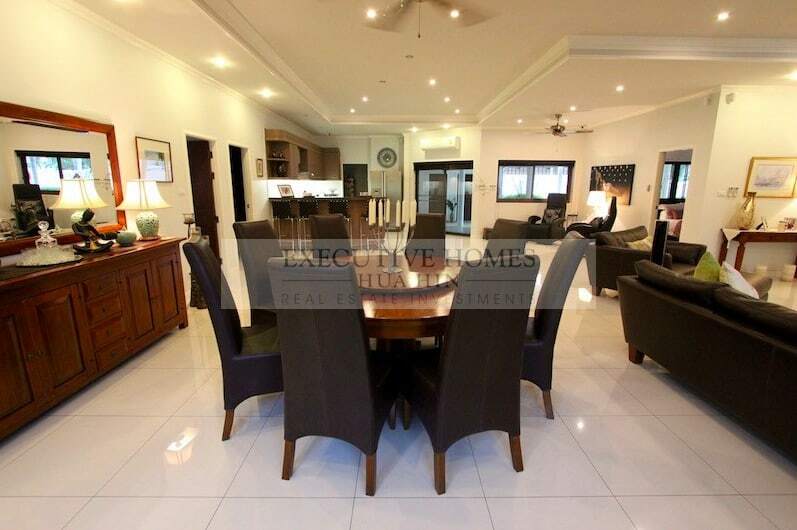 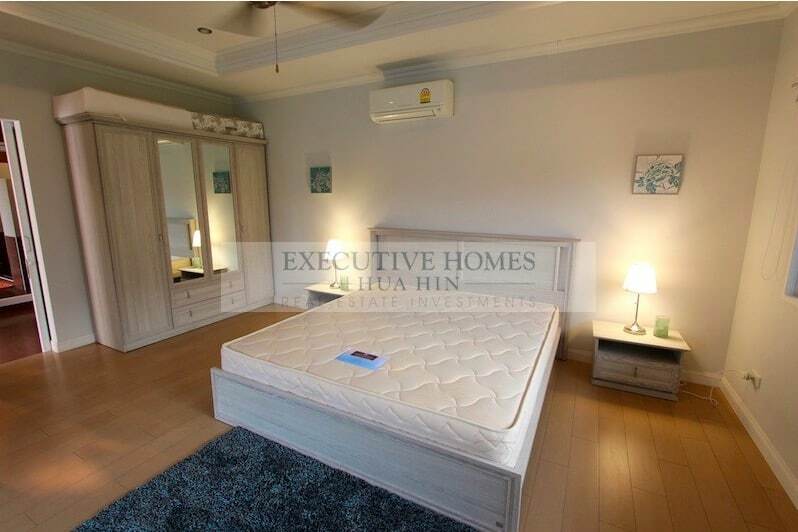 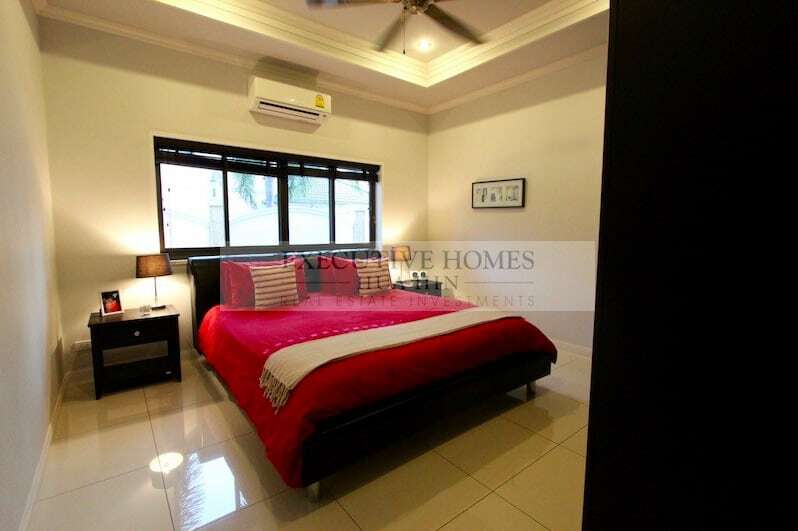 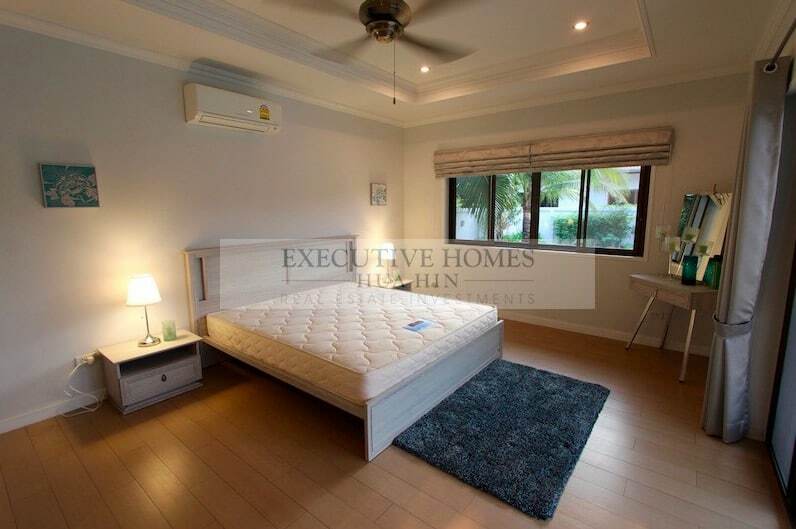 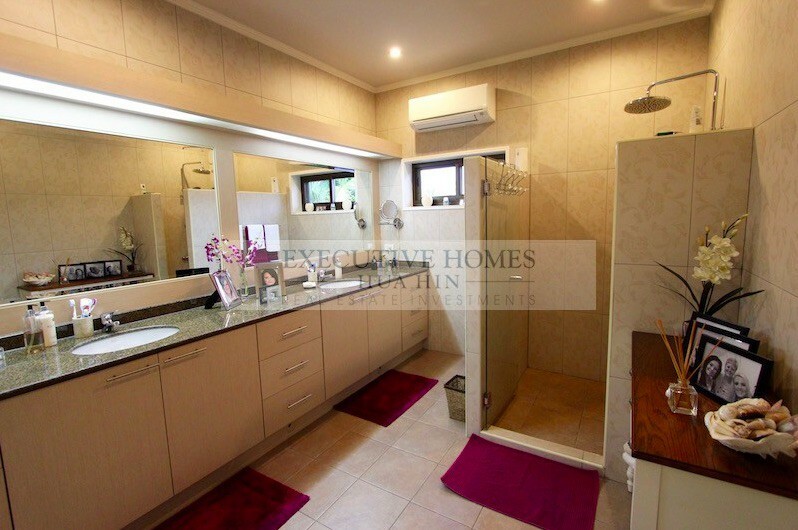 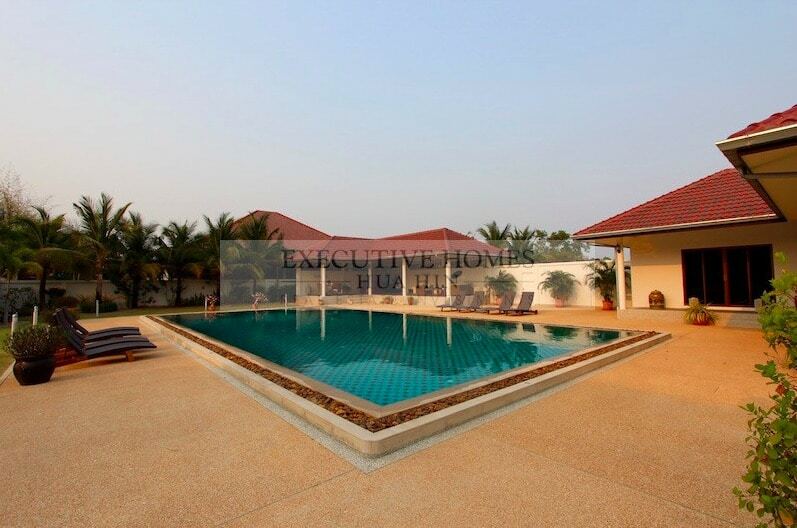 This stunning property (5 bedrooms + large private office) is located near Hua Hin town centre, the popular Hua Hin beaches, shopping, restaurants, nightlife, etc. 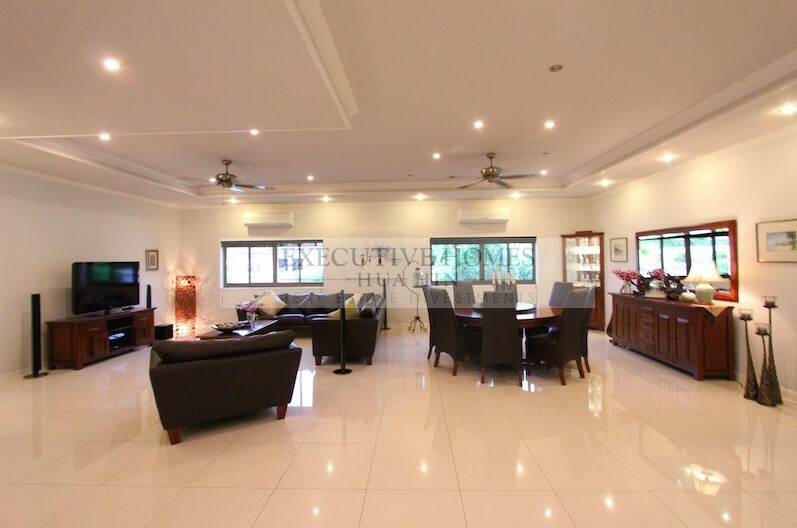 This is a MUST SEE property!! 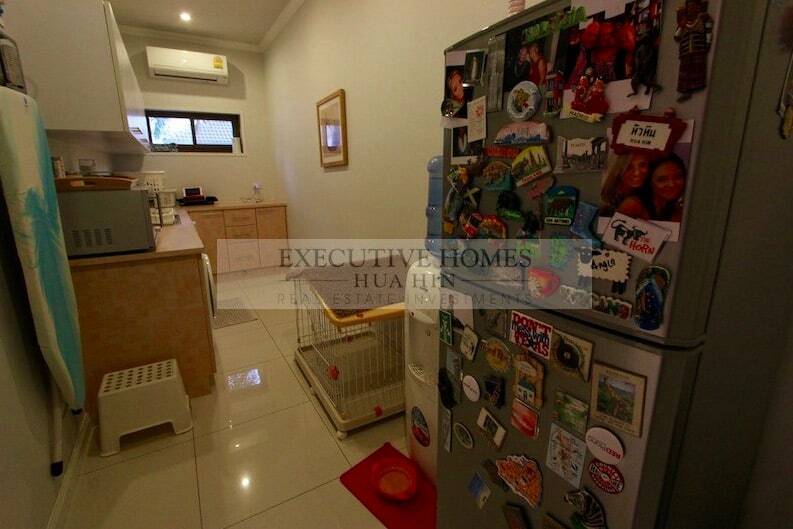 美丽的大首页出售在泰国华欣. 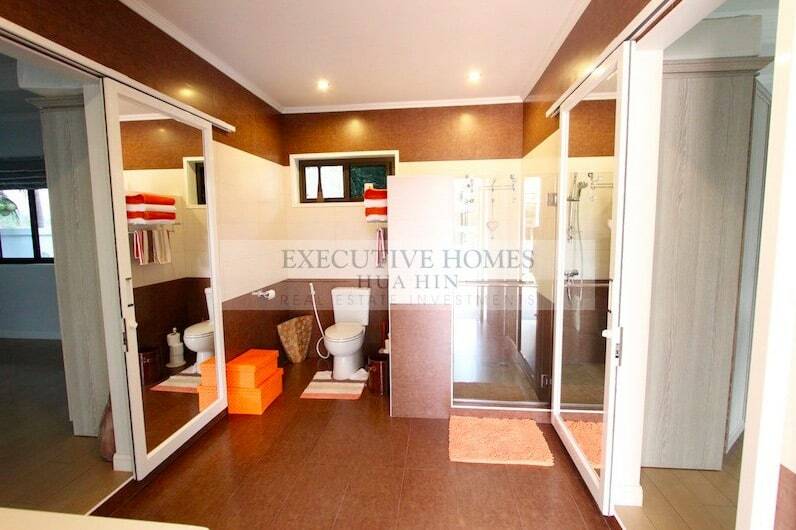 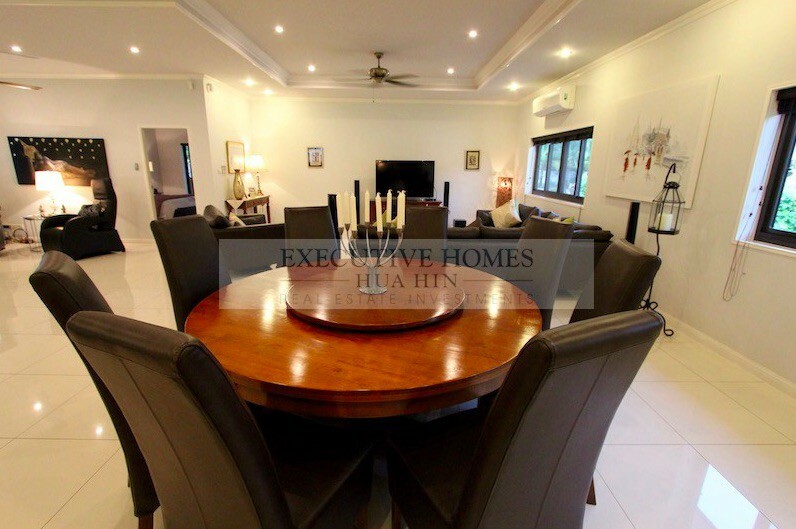 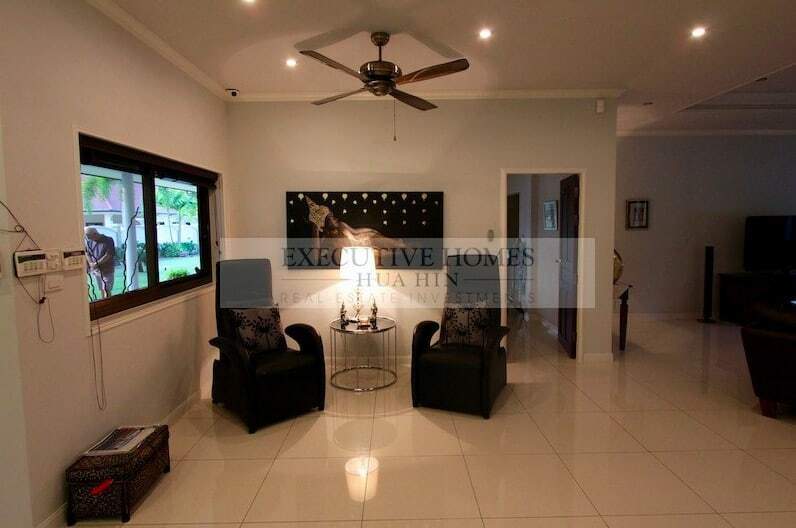 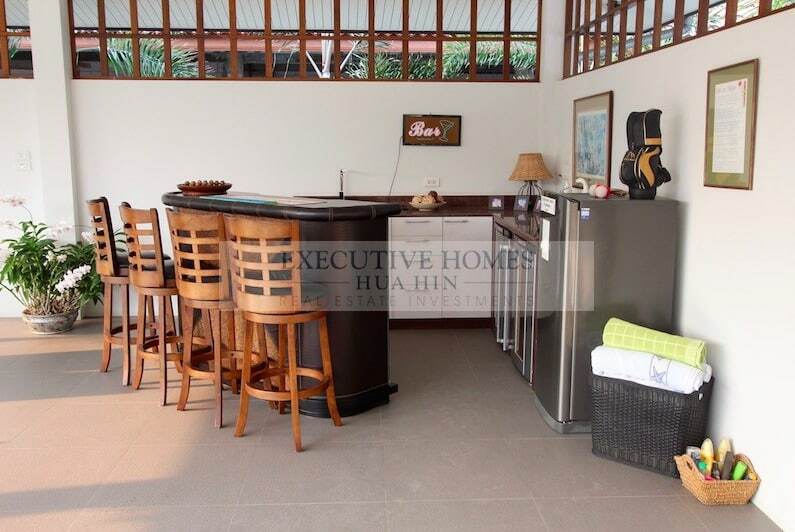 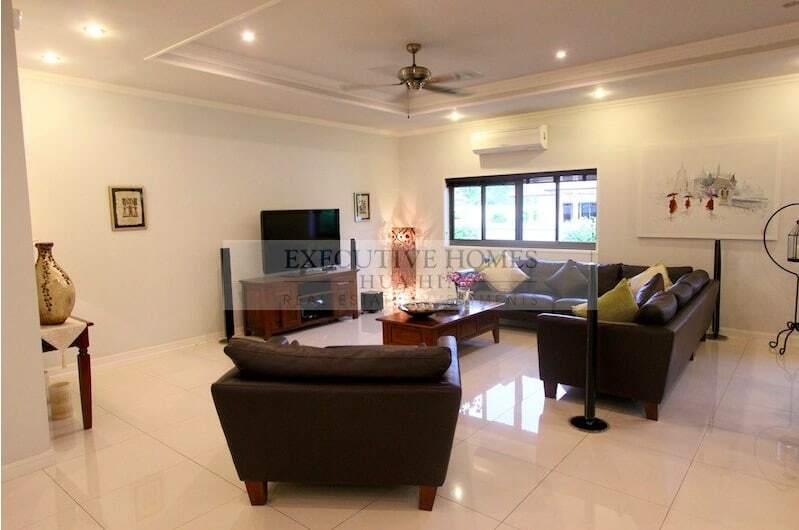 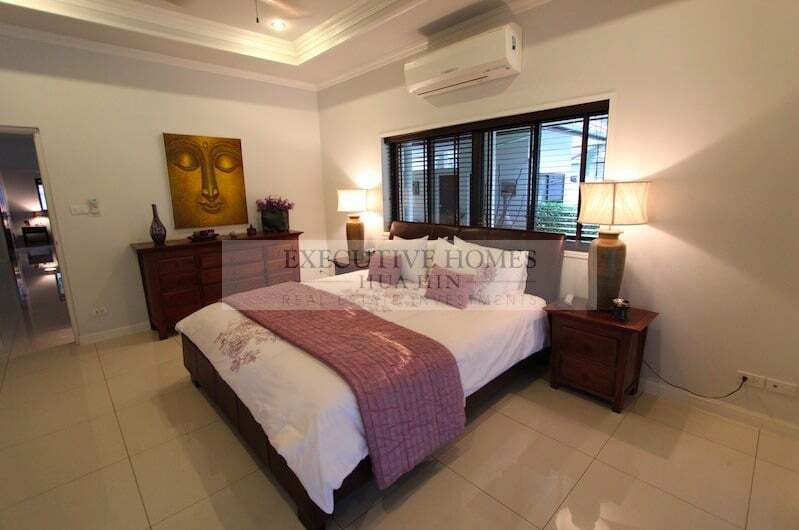 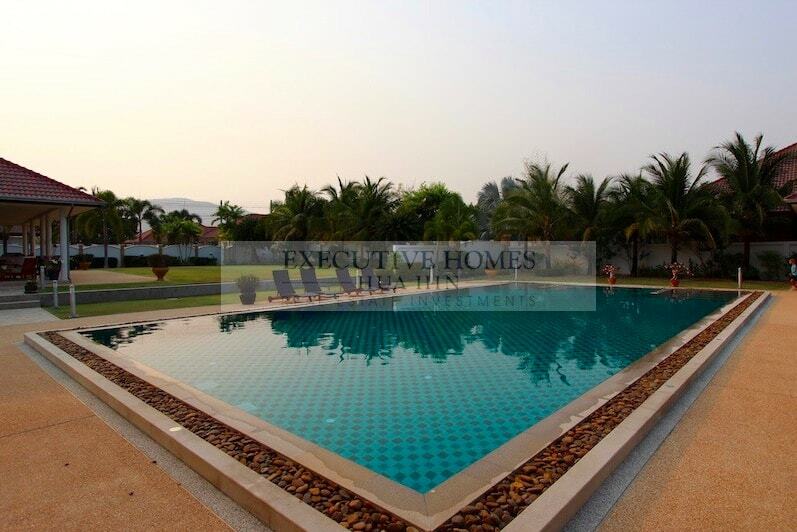 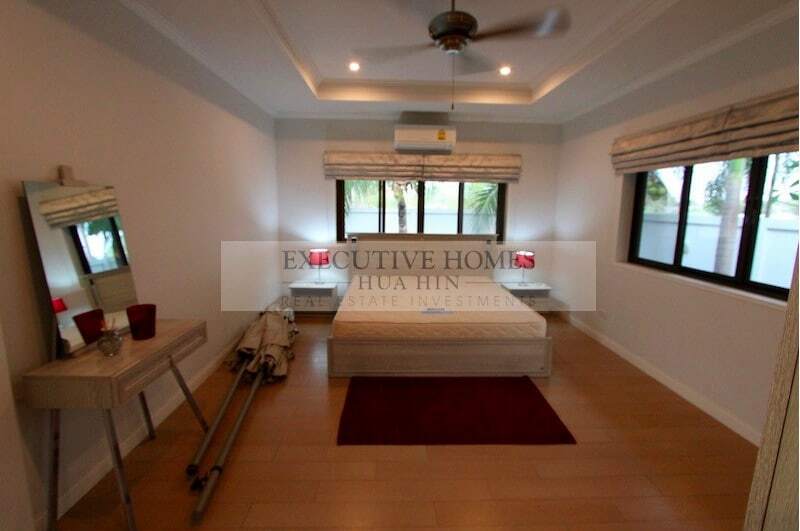 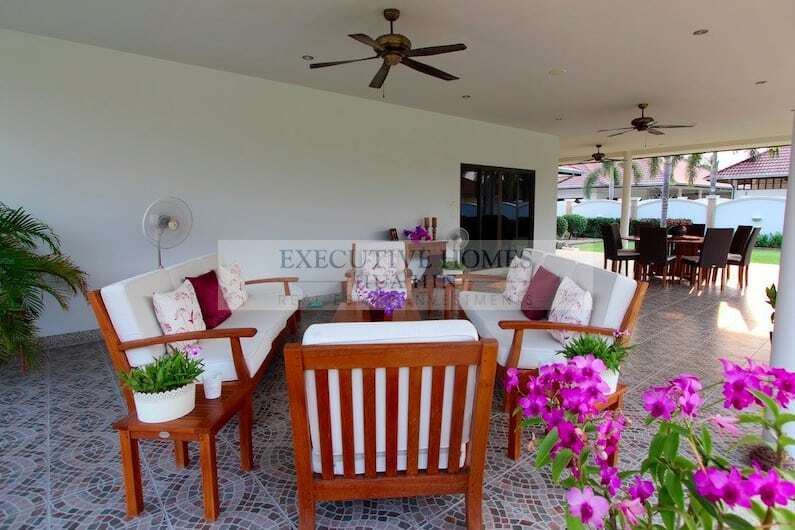 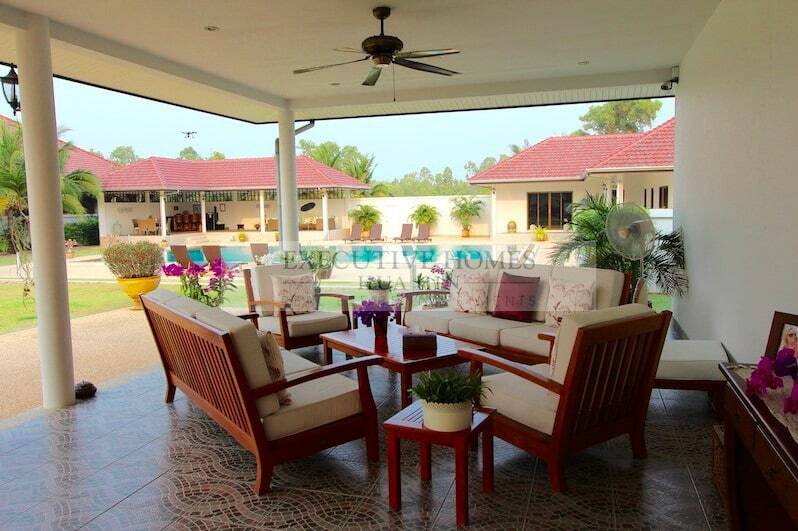 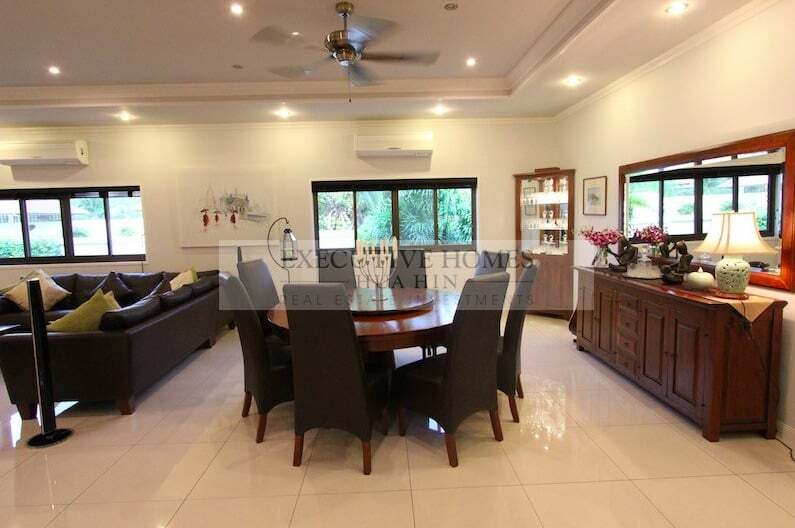 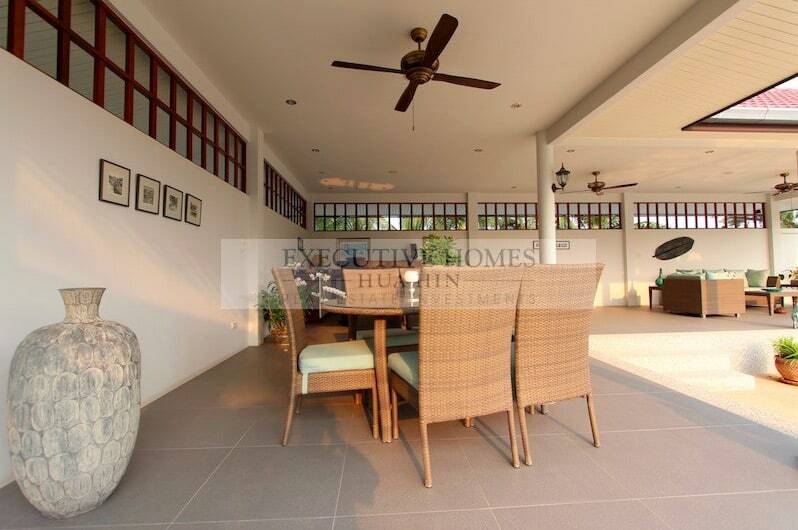 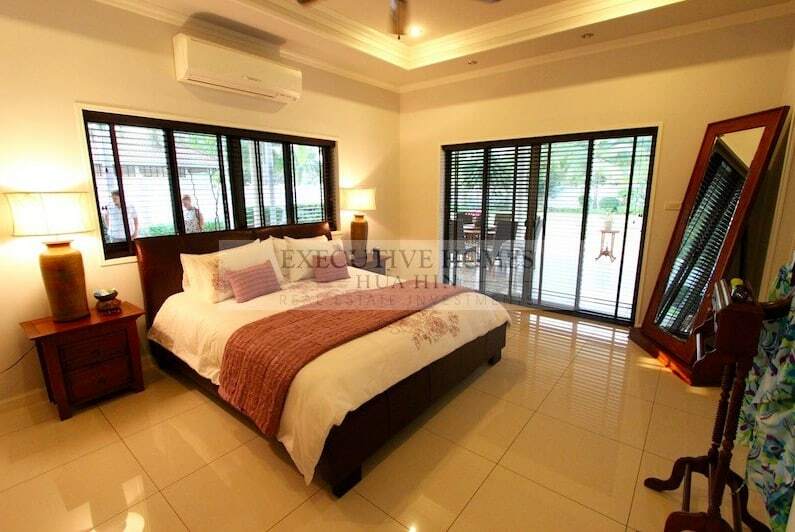 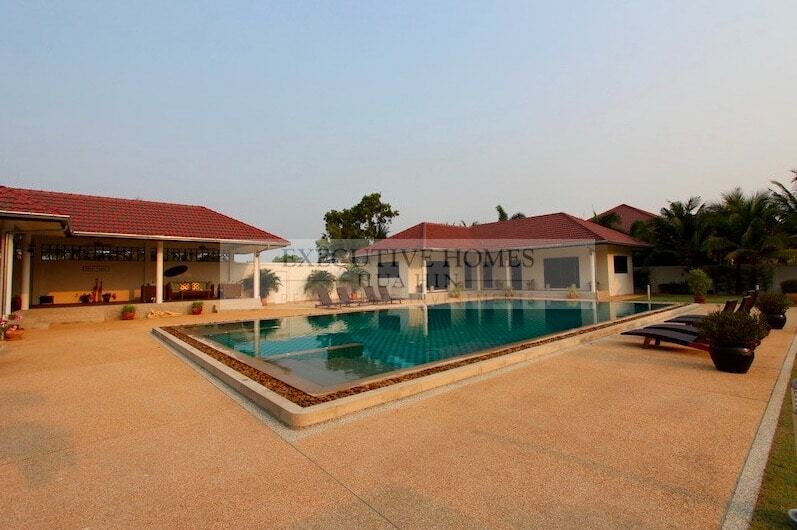 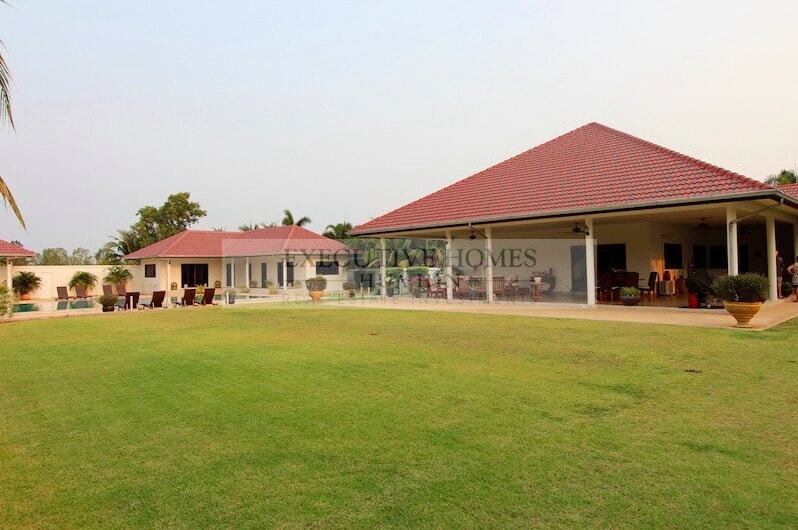 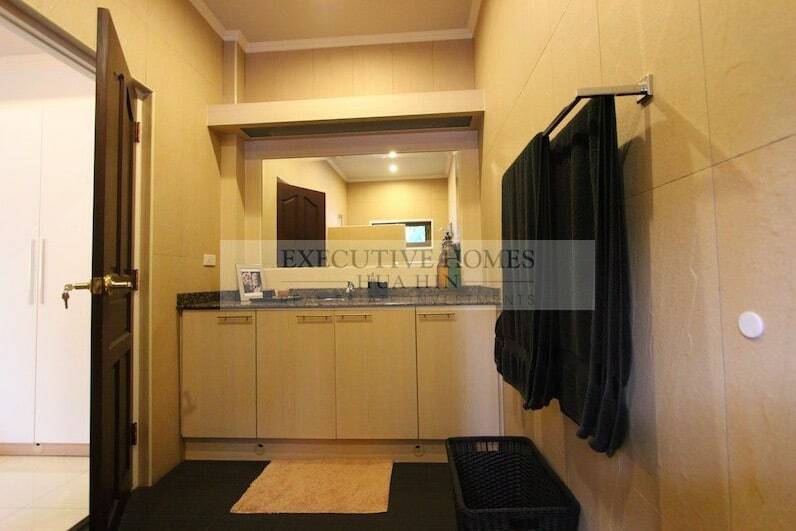 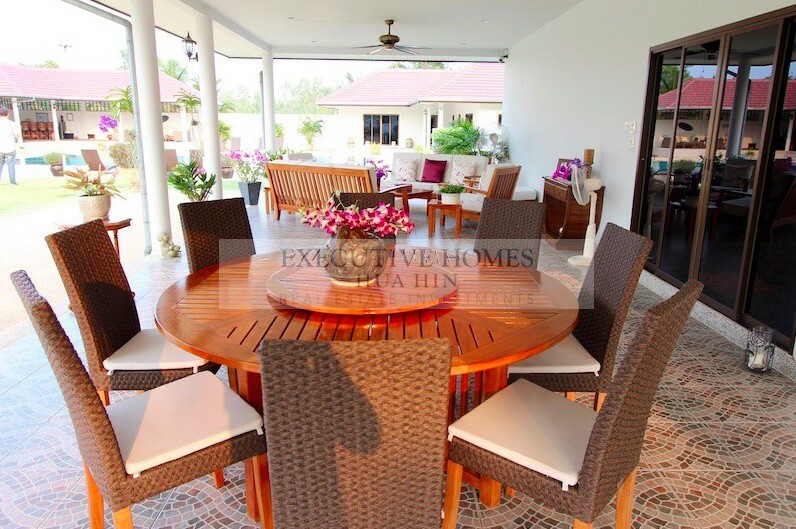 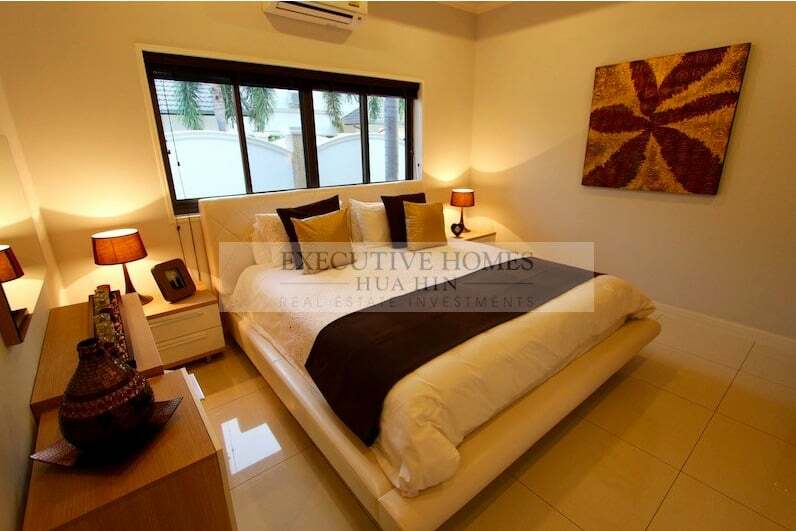 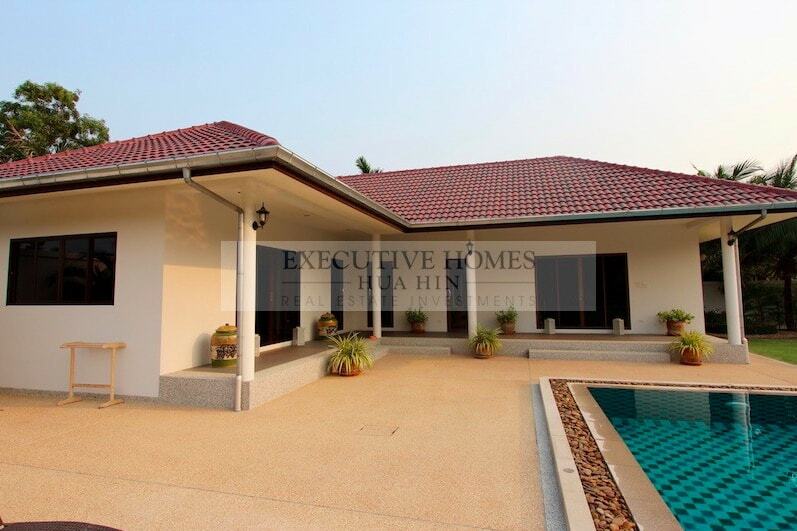 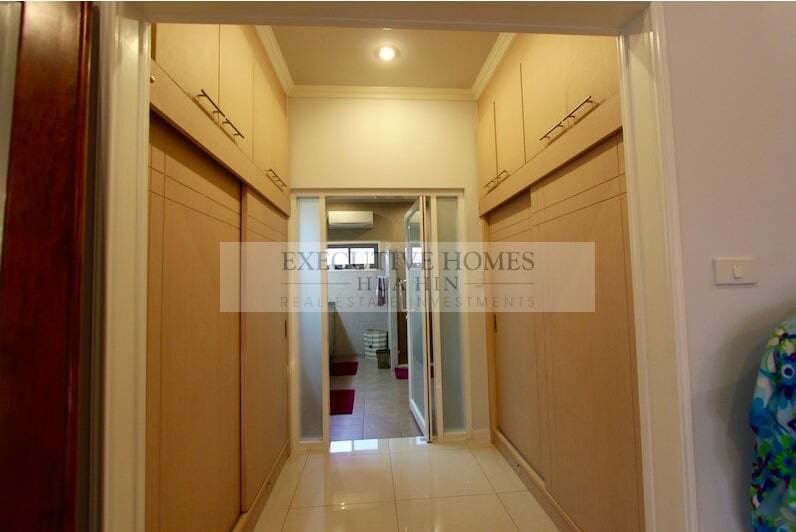 This Hua Hin home would be perfect for a Bed and Breakfast or a small luxury resort! 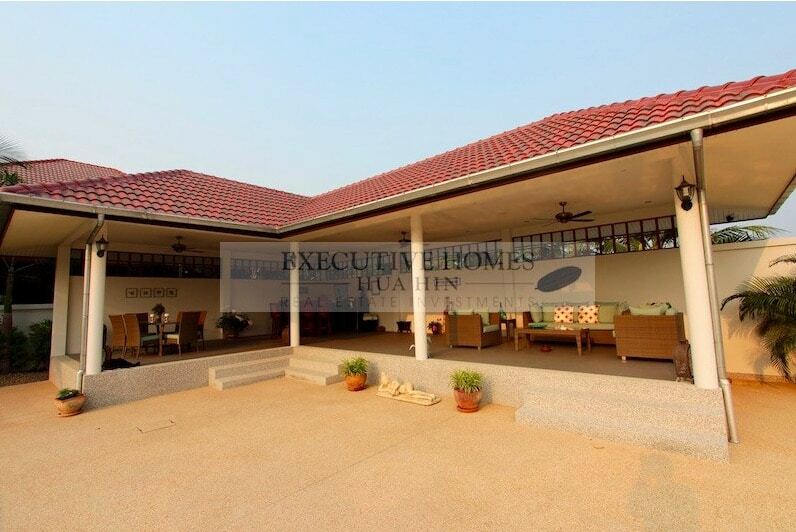 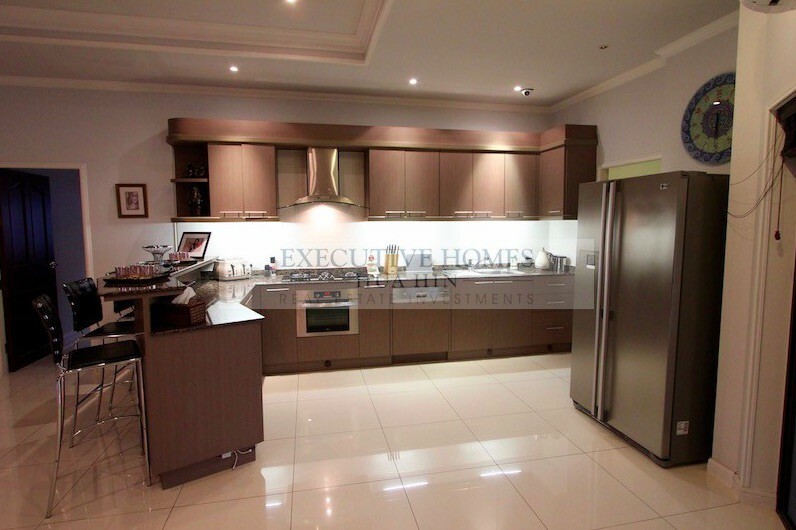 There is plenty of room for expansion to add another 5+ bedrooms on this large plot of land. 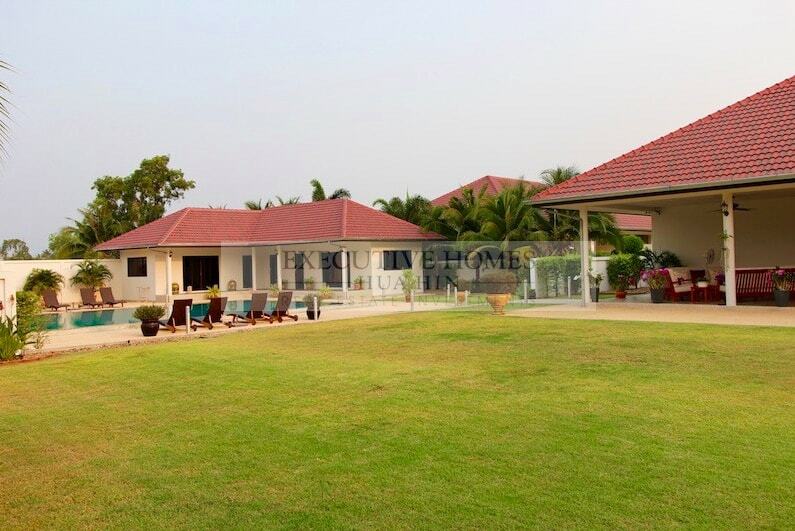 This lovely, grand villa (Maison à vendre à Hua Hin) is located only a stone’s throw away from everything Hua Hin has to offer. 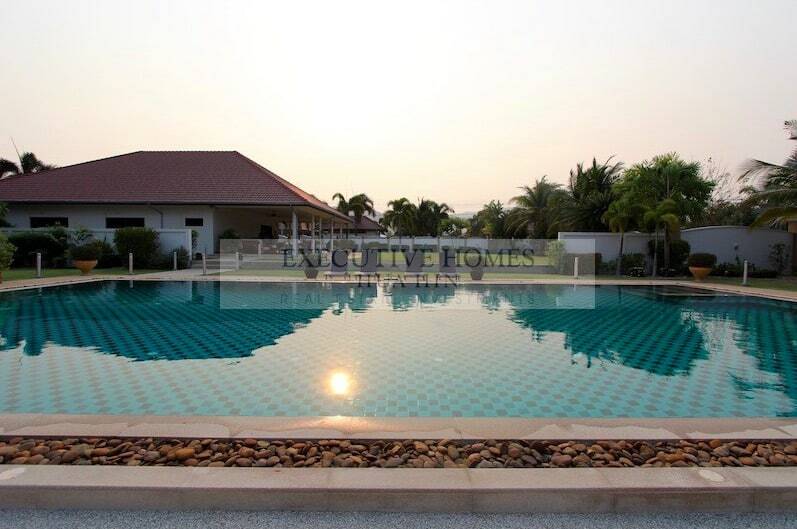 The location of the house is within easy and direct access to Hua Hin town center (approximately 10 minutes) and to the bypass road (about 10 minutes away) for convenient travel to Bangkok. 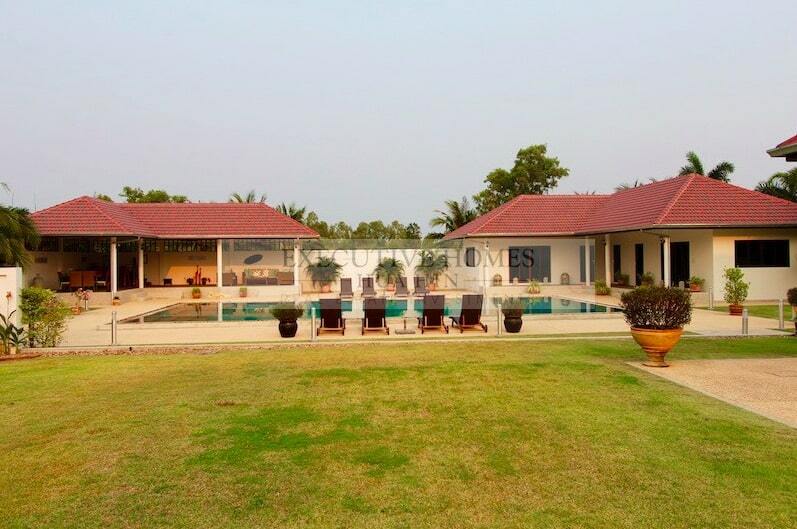 The private villa is set on a large, private 2,600 sqm plot overlooking the large saltwater swimming pool (16 meters x 8 meters) and the spacious, manicured gardens. 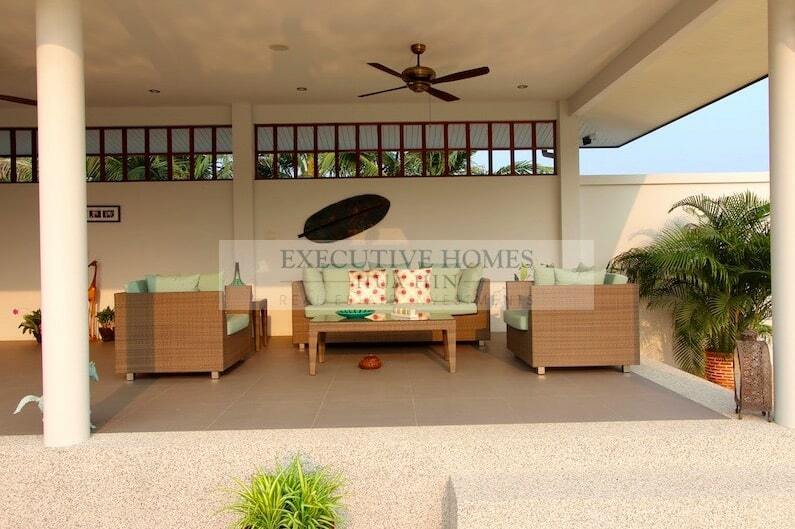 Enjoy the daily cool breeze from one of many covered terraces to choose from.